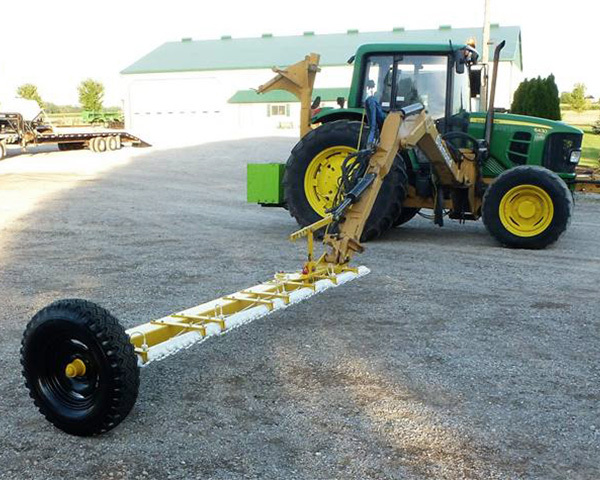 Wick Weeder mounted onto a John Deere sprayer. 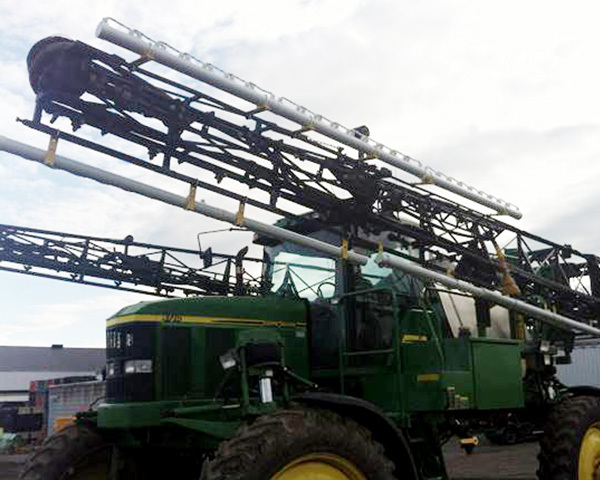 10' Wick Weeder mounted onto a hydraulic arm. 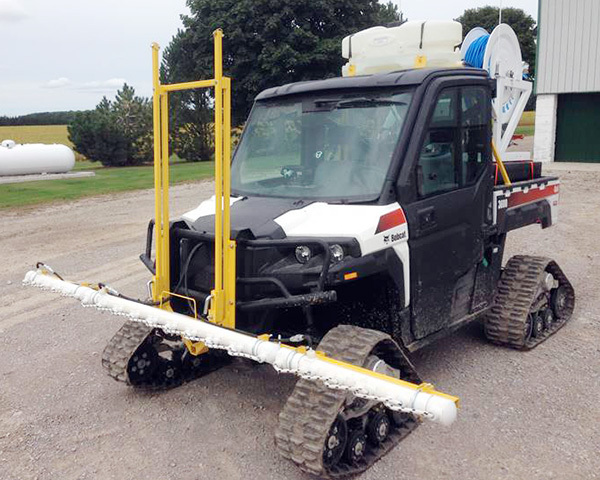 10' Wick Weeder mounted onto a Bobcat. 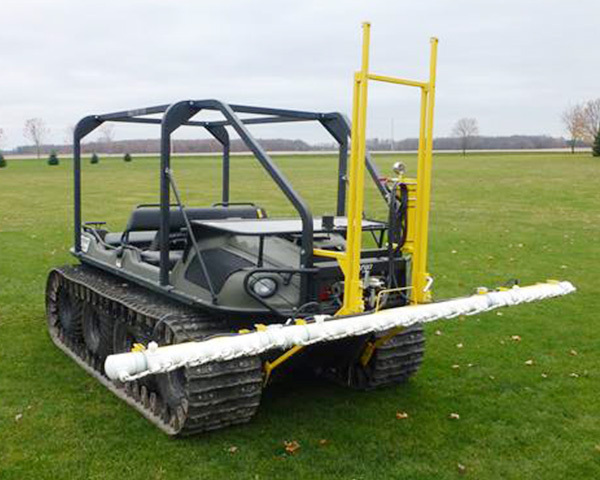 10' Wick Weeder mounted onto an Argo. 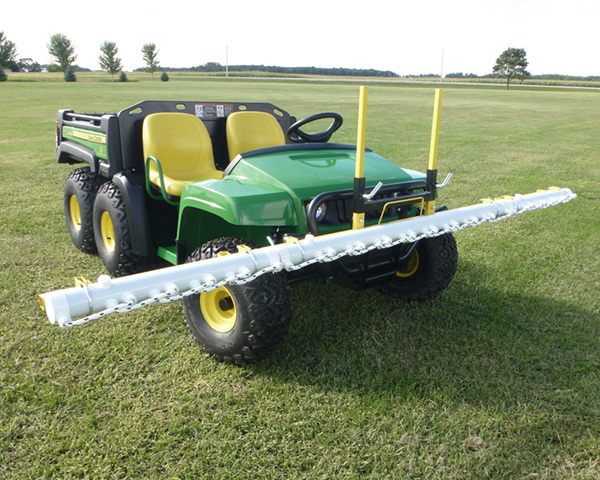 10' Wick Weeder mounted onto a Gator.